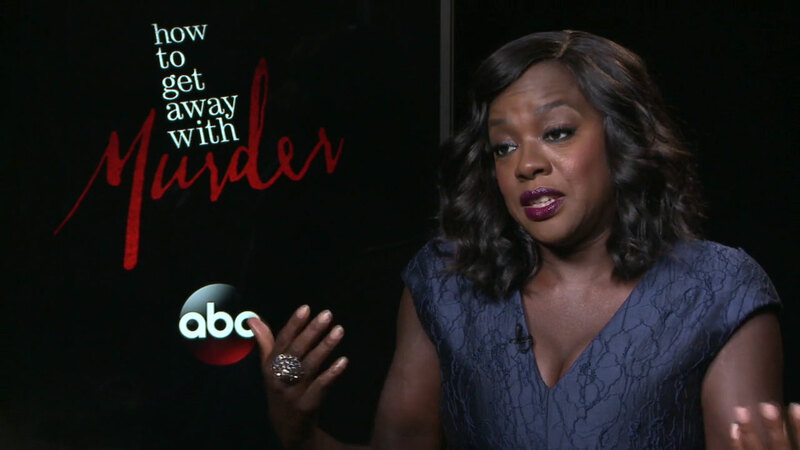 Viola Davis has been Emmy-nominated for the second time for "How to Get Away with Murder." LOS ANGELES (KABC) -- It was this time last year that Viola Davis made history. She became the first African-American woman to win the Emmy award for outstanding lead actress in a drama series. Davis will return to the Emmy ceremony this year, again as a nominee in the same category. And she'll also be returning to her drama series, ABC's "How to Get Away with Murder" on Sept. 22. And she says with this new round of "Murder," viewers should prepare to be blown away. "There will be a new mystery that's going to be presented that's going to knock your socks off," said Davis. "It's going to be better than any tequila or vodka you have on your shelf. It's going to be more interesting than any man, woman, anything that you're looking at." Then she added, with a laugh, "I think it's going to change your life." Davis is proud to be back for her third go-round as Annalise Keating in Shondaland's ensemble drama. "Shondaland to me just represents inclusion. That's what it represents. It represents a reflection of what America looks like without any effort, without it being thrown in your face," said Davis. "There's significance in it. Because she's a character that has all those adjectives that aren't associated with women like me." Her experience walking those long red carpets at the last Emmys has taught her a few tricks of the trade. "Well I take my ibuprofen for my toes, and smear my Crisco on, and put my ballet slippers in my evening bag and I'm good to go," laughed Davis. This Christmas we'll see the two-time Oscar nominee move back to the big screen, starring opposite Denzel Washington in the adaptation of August Wilson's classic story, "Fences." "I just thought it was a job of a lifetime," Davis said. "I mean transformative for all of us. Sometimes acting can be transcendent. That's what that experience was for me. I can't wait for people to see it."